The first time we visited Ottawa, the Canadian capital, was in 2009, five years after landing in Canada. Being a soldier, I was very much impressed with the Canadian War Museum, especially as to how it serves to remind us of the sacrifices of soldiers across the globe and also sensitises us about the immense calamity any war can have on the civilisation. In 2014, Guillaume Le Floch, the French exchange student came to stay with us and we all visited the capital city and obviously we visited the War Museum once again. 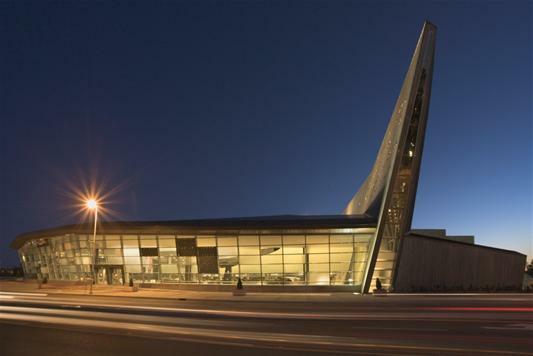 Canadian War Museum was established 1880 in Ottawa to pay tributes to the men and women who endured the tests of war. Today the museum stands as a gratitude for the service and sacrifice of Canadians soldiers. The new, modern building, commissioned in 2005 on its 125th anniversary and the sixtieth anniversary of the end of WWII., emerges from the ground and rises progressively higher at its eastern end, closest to Parliament Hill. Its textured concrete walls and roof are somewhat reminiscent of a bunker, while a partially grass-covered roof is consistent with the Museum’s theme of regeneration and its environmental friendly design. The museum also provides an evolving searchable catalogue of its collections. Types of artifacts found in the database include archaeological specimens, aboriginal arts and artifacts, folk art, furniture, war art, military objects, glass, porcelain, textiles and much more. This catalogue now contains more than 240,000 objects and is growing to include more than a million artifacts held with the museum. Much of the Museum’s public exhibition space is devoted to its Canadian Experience Galleries. These displays underline the profound effect that war has had on Canada’s development and the significant role Canadians have played in international conflicts. Their content is a rich mixture of some 2,500 objects from war art to armoured vehicles, as well as scores of audio-visual displays and many hands-on activities. The first gallery introduces the concept of war and its relevance to Canadians and Canada. Visitors explore the Canadian experience of conflict from aboriginal warfare and post European contact and the Northwest Resistance of 1885. The second gallery covers the South African War (1899-1902) or, as it is also known, the Boer War, where more than 7,000 Canadians, including 12 women nurses participated. This war marked Canada’s first official dispatch of troops to an overseas war. This gallery also houses exhibits from the First World War. During World War I, Canada was a self-governing dominion of the British Empire, with its own foreign affairs. In 1910, the then Prime Minister Sir Wilfrid Laurier declared that “when Britain is at war, Canada is at war. There is no distinction.” Some 619,000 Canadians, about 7% of the population, had enlisted in the Canadian Expeditionary Force for service overseas. The third gallery explores Canada’s fight against dictatorships overseas during the Second World War. The gallery introduces the visitor to the oppressive and aggressive dictatorships of the 1930s, and the mounting pressure for a strong response from the rest of the world. Britain’s declaration of war did not automatically commit Canada, as had been the case in World War I. The government and people were united in support of Britain and France. After Parliament debated the matter, Canada declared war on Germany on 10 September 1939. Prime Minister William Lyon Mackenzie King promised that only volunteers would serve overseas. In the beginning Canada was unprepared for such a large scale war. The regular army of 4500 men, augmented by 51,000 partly-trained reservists were deployed and was surely a modest beginning. The Second World War fundamentally changed Canada. Canada experienced industrial transformation and a booming economy during the war. New technologies and manufacturing principles produced enormous quantities of military supplies. By 1942, there was full employment as hundreds of thousands of Canadian men and women found work in war industries. As a result of its enormous military contribution during the war, Canada also became recognized as an important and assertive international actor, increasingly pursuing its own path in foreign policy. The fourth gallery showcases The Cold War, Peacekeeping, and Recent Conflicts, 1945 to the present. Canada became a respected international player through its commitments to Western defence and peacekeeping. The first Peacekeeping force consisted of Canadians to resolve the 1956 Suez Crisis. Lester B. Pearson, the then Foreign Minister, who later became prime minister of Canada, won a Nobel Peace Prize for using the world’s first, large-scale United Nations peacekeeping force to de-escalate the situation. Since then, there was hardly a peacekeeping mission till date that did not have Canadian participation. The LeBreton Gallery houses the Military Technology collection and is a diverse collection of vehicles, artillery and other large artifacts that tell the personal stories of war, from the eighteenth century to the present. The Memorial Hall located in the Museum’s spacious foyer, is a space for quiet remembrance and personal contemplation. The concrete walls, grooved with large, offset rectangles, are reminiscent of the rows of white grave markers in Allied war cemeteries. The lone artifact is the headstone from the grave of Canada’s Unknown Soldier from the First World War, a simple bench the only furniture. Sunlight through the Hall’s only window directly illuminates the headstone every Remembrance Day, 11 November, at precisely 11 am, the moment the Great War ended in 1918. The Regeneration Hall is a narrow, soaring hall with angled walls and a narrow triangular window that frames the Peace Tower on Parliament Hill. There is the Memorial Chamber in the Peace Tower that houses seven Books of Remembrance which record the names of the men and women who have given their lives in military service to Canada. (Please click to read my earlier blog). The hall is a representation of hope for a better future. High narrow windows spell out in the dots and dashes in Morse Code which stands for “Lest We Forget” and “N’oublions jamais”. The Royal Canadian Legion Hall of Honour explores Canada’s long history of honouring individuals; how Canadians have remembered and commemorated their military past. Through personal stories, photographs, art and artifacts, this gallery shares the earliest forms of honouring through burial, painting or dance, to the erection of national monuments. The Military History Research Centre has a comfortable main reading room. An Archives Reading Room is also available for researchers accessing archival documents, photographs and rare books. The staff is always available to assist you with research, answer any questions, and assist in accessing the collections. “Spitfire Dance”, a dramatic musical entertainment in two acts, is staged by the War Museum. The musical is accompanied by World War II era songs, and it tells the stories of pioneer female aviators of the Royal Canadian Air Force, their courage, their daring and their frustrations. It is a memorial for all those women who dared compete in that most male of establishments of the time – aviation. Every nation owes a debt to its fallen heroes that none can ever repay. The only way they can is to remember them, cherish them and honour their sacrifice. I conclude with the first four lines from Binyon’s poem For the Fallen, written in September 1914. Loved it . Great respect for the ones who conceptualised and executed. Dear Regi, thanks for giving insight into Canadian military history in such a concise manner. I suggest you to do a similar research on recent Indian Militay history for the knowledge and benefit of non-academicians like us. Of course, all your articles have a “WOW” factor. I don’t think we have any proper war museum anywhere in India, except for war memorials in few state capitals. In fact we fought more battles and wars than Canada. Where is the national spirit and respect for the fallen Heroes?. Who bothers!! !